Stainless steel frying pans are awesome. They’re attractive, have a high heat tolerance, can take a metal utensil and are super hard-wearing. However…they’re not non-stick and can be a little hard to manage when cooking with stick-happy foods such as eggs, fish and battered goods. However, there is a way to make your stainless steel cookware more non-stick than ever before. You’re probably aware of seasoning cast iron skillets or carbon steel pans, but you may not be as familiar with the idea of seasoning stainless steel cookware. 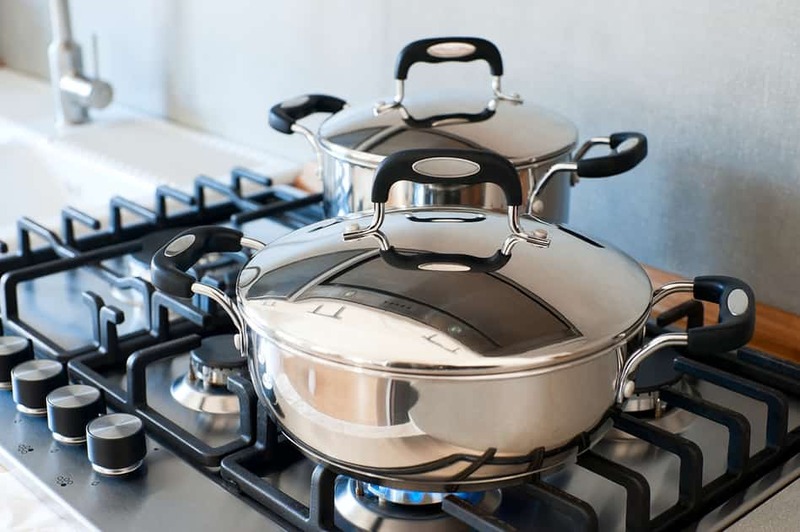 Keep reading to find out exactly how to season a stainless steel frying pan, and why choosing stainless steel cookware in the first place is a great idea. 2 Why season stainless steel? A clean surface (free of residual factory oils, dust or leftover food) is going to best welcome the seasoning process. You want the seasoning oil to stick to the stainless steel, not to any residue. Give it a good scrub with a brush and hot, soapy water (note: pre-seasoning is really the only time when you should use detergent and scrubbing brushes on seasoned cookware!). Now it’s time to add the oil to the pan. You need an oil with a high smoke point since you will be heating the pan until it begins to smoke. If you choose an oil with a low smoke point (i.e. olive oil) it will smoke far too early and the process won’t be sufficiently completed. The best oils to use are peanut, rice bran or sunflower oils as they have high smoke points. Pour enough oil into the frying pan and swirl the pan around so that the oil coats every part of the interior, including up the sides. Use your hands or a bunched-up paper towel to evenly distribute the oil, ensuring no parts are left uncoated. You can either heat the pan on the stove or in the oven. The oven method is arguably a little easier because you simply pop it in the oven, forget about it then return to it later. However, the stovetop method is faster and uses fewer resources. If using the stove, place the pan over medium heat and wait for the oil to begin to smoke. It should only take five minutes maximum. 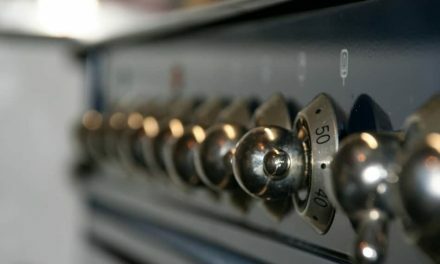 For the oven method, preheat the oven to 350 degrees Fahrenheit and place the pan into the oven for about an hour or until the oil begins to smoke. The pan and the oil will be super hot, so leave the pan to cool until warm, or at least cool enough for you to safely touch. Take a bunch of paper towels and swirl them around the inside of the pan to soak up the excess oil. The aim is not to remove all of the oil, rather to get rid of any excess oil which puddles or pools when you move the pan. You want an even, thin coating of oil to cover the interior of the pan once your wiping is done. Remember, when you’re finished cooking with your seasoned stainless steel pan, don’t take to it with detergent and a harsh scrubbing brush. Wipe it out with kitchen paper, and give it a simple rinse with plain water if need be. You know your stainless steel pan is ready to be reseasoned when it has built up too much of an oily or greasy residue. This is when it’s time to start again and give the pan a thorough clean with detergent, hot water and a brush. Remove all of the residual food and grease, and start the seasoning process again. This won’t be a necessary step very often if you give your pans a thorough wipe down after each usage. The simple and most obvious answer is because seasoning creates a non-stick surface on your stainless steel pans. This is not only handy for low-fat cooking and easily cooking egg, pancake and fish dishes, but it helps with cleaning too. A non-stick pan requires less oil, leaves less residue behind, and therefore requires far less cleaning. In fact, it’s advised not to scrub a seasoned pan, but simply wipe out the pan with a paper towel to preserve the oiled surface. Attractive: stainless steel pans have a high-shine aesthetic which adds a bit of style to the already great cooking performance. They’re a good choice for people who like to store and display their cookware out in the open in their kitchen. The most common stainless steel cookware finishes are high shine and brushed. Non-reactive: high-quality stainless steel is a fantastic metal for cooking with because it won’t react with acidic foods. You can cook with stainless steel cookware with an easy mind, knowing your cooking method is safe and healthy. Hard-wearing: stainless steel is a durable material because it won’t chip, flake or break. Most stainless steel cookware has a core of copper or aluminum which makes the base very sturdy and resistant to warping. Won’t rust or corrode: the beauty of stainless steel is that it won’t rust, mar or corrode (unlike cast iron which rusts when not properly seasoned or dried). This makes for long-wearing cookware which you will have for a very long time. Non-stick (when properly maintained): as we now know, stainless steel cookware can be non-stick when seasoned properly. You get the hard-wearing, attractive and non-reactive qualities of stainless steel as well as the convenience and ease-of-use of non-stick cookware. 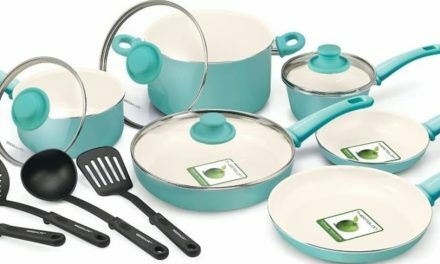 This is great for people who are wary of using aluminum cookware or cookware with non-stick coatings. Stainless steel pans are far more user-friendly and a breeze to use once they have been seasoned. 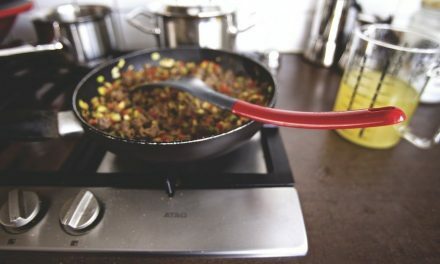 With a decent seasoning process, your silver pan will be non-stick, easy to clean and more conducive to low-fat cooking. 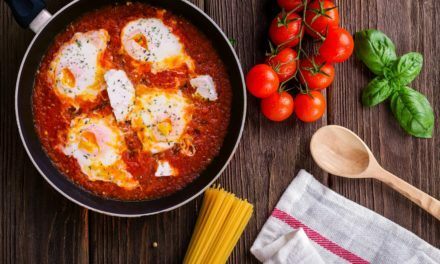 Stainless steel pans aren’t always the best for more delicate dishes such as eggs, but a seasoning will help to solve this issue! Get yourself some oil with a low smoke point, keep some paper towels on hand and you’ll be well equipped for a successful seasoning.